My original intention when I started blogging four years ago, was to share writing tips with other like-minded writers, but there were already many writers doing this, and most of them knew a good deal more about the craft than I did. So instead of adding to the white noise of advice that surrounds writers, I decided to write for my potential readers instead. While some of my followers are writers, most are not. Among the questions readers ask writers are: where do we get our ideas from, and how do we start writing. Every writer has their own way of answering these questions, and the writing process is not the same for all of us. Since I am about to embark on writing a new novel, I thought it might be fun to share my unique process with my readers, in real time, as it happens. It takes me ages to write a novel, so please don’t hold your breath. Over the next year or so, from time to time I’ll let you know where I am in the process and how things change as they meander along the slow path to completion. When I start a new novel, it’s because something in my brain has been triggered by a “what if” scenario. I’ll imagine a situation or an action in which something hasn’t gone according to plan, and I’ll think up possible unexpected after-effects which might open a can of worms worthy of a full-length novel. Very often, the original idea will come to me because I am in a particular place, or because I’m thinking about a place I’ve been to. To be honest, many places I visit cause me to think, “This would be a good setting for a novel,” but not all of them are practical. 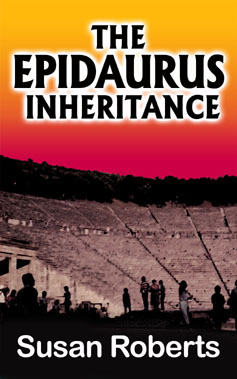 In The Epidaurus Inheritance I brought together two great loves of my life: Greece and theatre. The whole is always greater than the sum of its parts, and so it was with this combination. I’ve had a fascination with ancient Greek theatre since the age of about eight. 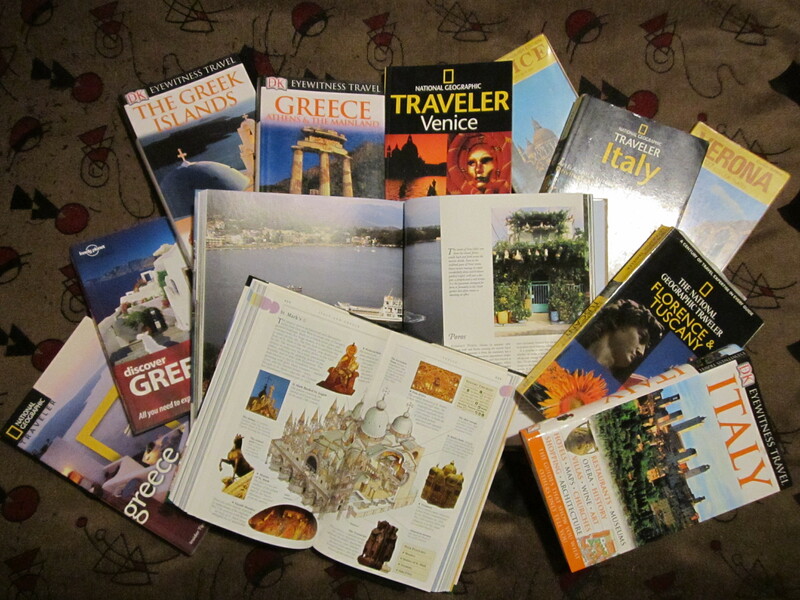 All my later history of art studies, my drama studies, my first visit to Greece where I watched a performance in the ancient theatre of Epidaurus itself, plus my first two decades of working in the theatre industry all conspired to concoct an adventure that begins and ends in that great historic place. 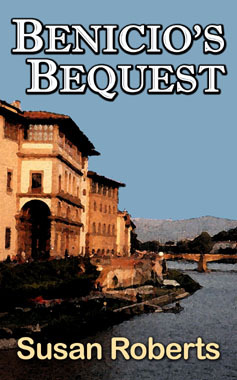 Benicio’s Bequest began when an image jumped into my head one afternoon after tea with a fellow writer. While travelling down in the elevator I had a sudden thought about what I might do if the gentleman next to me in the elevator were to suddenly collapse on the floor with a knife protruding from his chest. (Yeah, I know – you’re probably wondering what was in that tea and cake…) As the unsuspecting gentleman left the elevator to walk towards the car park, I decided that a beautiful courtyard would be more a more dramatic setting than a car park. While driving to work that afternoon I fantasized about a sunny courtyard, preferably somewhere old and steeped in history, possibly in Europe. Spain was my first choice, but I had never been there so I chose Italy instead. Which courtyard? Well, it had to be small, intimate and a finite space with only one exit, so I chose the romantic courtyard in Juliet’s house, in Verona. The murder would be a planned hit, and would be done with a gun, not a knife, so the gunman could do his deed from a distance and make his escape. Why not shoot from the balcony itself? I liked the idea of turning the romantic setting for the world’s most famous balcony scene into the scene of a shocking murder. Into my head came the accompanying idea that the heroine who witnesses it is not in a particularly romantic mood because she is there on her own, having called off her wedding. She has, of course, used the planned honeymoon as a solitary holiday because it was too late to get a full refund and she needed to get her head around her own problems. Needless to say, witnessing a murder doesn’t exactly help her do that. Or maybe it does? The chain of events that this sets off provides the fodder for the rest of the novel. My newest novel takes place in Oxford, England – a place I visited and loved many years ago. An old stone house, a partially ruined church next door to it, the grounds of Blenheim Palace beyond the back fence, and the charming pub up the road will all form part of the setting. At this early stage, even while images of setting and romantic places flit through my brain into half-imagined scenarios, there is only a vague story idea. I know that it will be a romantic story, and there will be some kind of historic mystery to solve, but first I need to find some characters who will suit both the setting and the story that grows around them. Susan, enjoyed (as a fellow writer) reading your post. I love that early rush of inspiration–it’s like falling in love. And you need it (as you often do in love) to get through the slog and sticky points of the “middle” (which I define as everything after the first 10 pages and before the final 10). 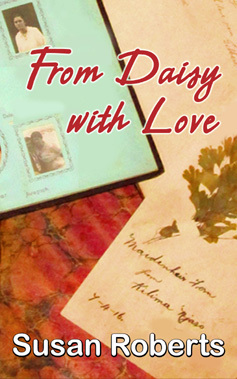 All happiness on your journey with the new book. Now that I have finally started my first novel, I find this even more interesting. I love this idea, both your setting and your approach to blogging. Several years ago when I was first looking in to starting to blog, the best advice I received was to write for readers and not just for writers. Giving readers (and fellow writers) a glimpse into your process is a wonderful way to do that. I look forward to following your journey! Thank you, Sarah – I look forward to sharing it. 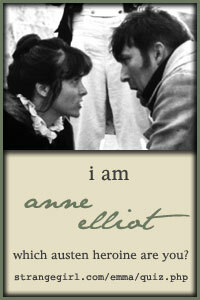 I’ve always loved “Persuasion” the most of all her books. I first read it as a teenager and still love it now. I haven’t seen that particular movie version so I’m a bit jealous, but I did enjoy the one with Sally Hawkins as Anne and Rupert Penry-Jones as Wentworth! The “what if” gene can be cultivated, I think. I’ve been dipping into Stephen King’s “On Writing” again, reminding myself that he refuses to actually plot. He thinks up characters and puts them into a situation and then watches them as they figure out a way to get out of the mess. I think that’s what I try to do in the pre-writing stages and that’s how I come up with my version of a plot. It’s a way to make sure that the decisions of the characters are their own, and not what I force onto them. It means that the characters need to be carefully worked out long before the writing starts. That’s my next move. It’s a great book. And don’t give up searching for that gene!